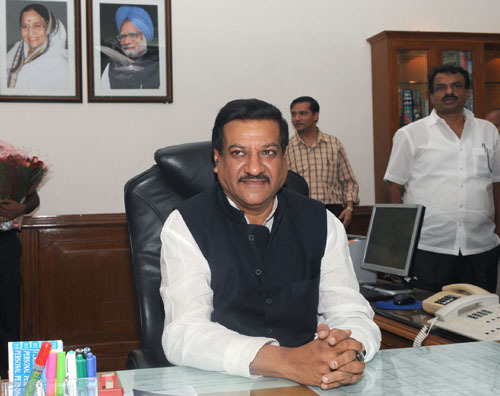 NEW Maharashtra chief minister Prithviraj Chavan has a clear advantage in dealing with bureaucrats thanks to his long innings in the PMO and also in ministry of personnel, public grievances and pensions which frames and changes the rules of administration. Mr Chavan has now made it very clear to Maharashtra bureaucrats who were under attack for their role in Adarsh housing scams in particular, must perform. Those who fail to make sound and speedy decisions would be axed, chief minister reportedly said in his first formal interaction with senior bureaucrats after he took over as CM, a section of media reports said. Deputy CM Ajit Pawar also spoke to the bureaucrats and reminded the babus about the past glory of the state. There has been a general perception now that while politicians are increasingly being targeted for corruption, and some high-profile political leaders even have lost their jobs, bureaucrats are largely escaping harsh punishments. hlc-cwg@gov.in or telephone numbers 011-23063318-19. A drop box has also been set up to get information at its office in New Delhi’s Vigyan Bhavan, and it was made clear that identity of those who complain would be kept confidential. Shantanu Consul, former DoPT secretary is the second member of the Shunglu panel. Good job done Mr Chavan. Keep it up. Many bureaucrats too are having problems as deputy CM Pawar has become over-proactive. Bureaucrats now need to give two briefings, one to deputy CM and then to CM.